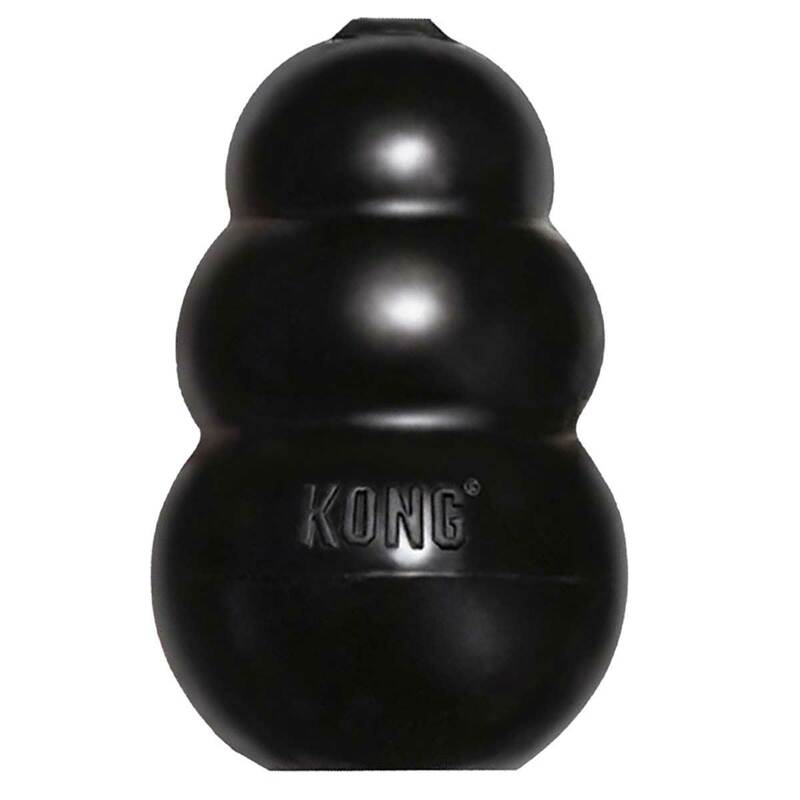 The KONG Extreme dog toy represents the most durable strength of KONG rubber. Designed for the toughest of chewers, the KONG Extreme offers enrichment and helps satisfy dog's instinctual needs. The KONG unique, ultra-durable all-natural rubber formula is designed for the determined chewers, while the erratic bounce fulfills a dog's need to play. Want to extend play time? Be sure to stuff with tempting bits of kibble and entice with a dash of peanut butter. KONG® Goodie Bone Extreme 7"
Extra Large KONG® Extreme 5"
KONG Squeaker Tennis Ball 3Pk 2.5"